Best known as a civil rights leader and author, Josephine St. Pierre Ruffin was born on August 31, 1842. Born in Boston, Josephine St. Pierre Ruffin was the daughter, and youngest of six children, of John and Eliza St. Pierre. Her mother was a native of Cornwall, England. Her father, a successful Boston clothing dealer, was of mixed ancestry that included a father from Martinique and mother with African, French and Native American heritage. Josephine St. Pierre received her early education in Salem, MA, where the schools were not segregated. In 1855, after Boston integrated its schools, she was sent to the Bowdoin School in the city’s West End. Ruffin finished her education with two years of finishing school and private tutoring in New York City. In 1858, Josephine St. Pierre married George Lewis Ruffin (1834–1886). Ruffin, born in Richmond, VA, moved with his family to Boston in 1853 after Virginia passed a law banning African Americans from learning to read. Soon after marrying, the Ruffins moved to Liverpool, England as a protest of the U.S. Supreme Court’s decision in the Dred Scott case, which validated the legality of slavery. After six months, the Ruffins returned to Boston. During the Civil War the Ruffins supported the war effort by recruiting African Americans for the Union Army and serving on the city’s Sanitation Committee. During this time they also purchased a house on Charles Street in Beacon Hill and began a family. The Ruffins had five children: Hubert St. Pierre, Florida Yates, Charles Stanley, George Lewis and Robert (died in infancy). After the war, George Ruffin went on to become the first African American to graduate from Harvard Law School and the first African American judge in the North, securing for himself and his wife an elevated social status. Ruffin used her standing to help efforts related to civil rights, suffrage and Civil War welfare reforms. In 1879, Ruffin organized the Boston Kansas Relief Association to help combat the financial crisis of Kansas after masses of African Americans migrated there and strained the state’s economy. She also served as a visitor for the Associated Charities of Boston and on the executive boards of the Massachusetts Moral Education Society and the Massachusetts School Suffrage Association. As a charter member of the Massachusetts School Suffrage Association, Ruffin became acquainted with fellow association founder and reformer Julia Ward Howe. Howe, along with suffragist Lucy Stone, had also founded the New England Women’s Club in 1868 and invited Ruffin to join in the mid 1890s. 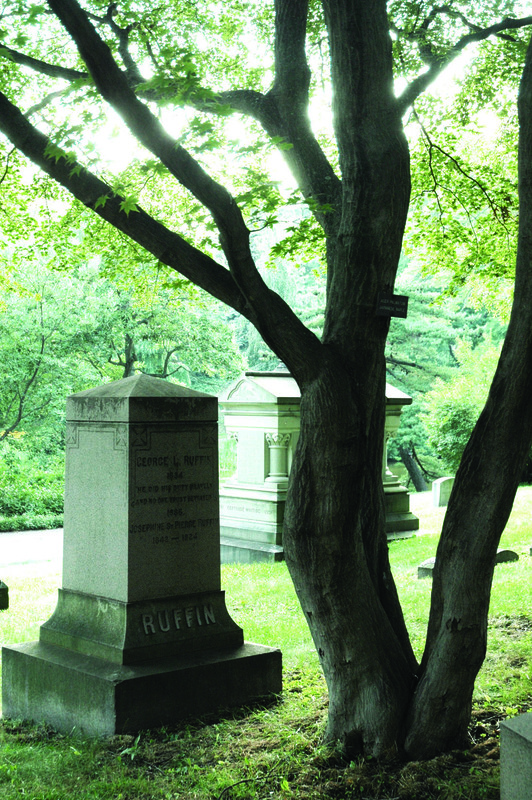 When Ruffin joined the New England Women’s Club, she was its first African American member. In addition to her active social work, Ruffin wrote for the Courant, a weekly black newspaper, and became a member of the New England Women’s Press Association. After her husband died in 1886, Ruffin founded the Woman’s Era, the country’s first newspaper published by and for African American women. In addition to financing the paper, she and daughter Florida served as its co-editors. The illustrated paper, published monthly, urged its readers to become more informed and more active in public issues such as suffrage and civil rights. Josephine and Florida Ruffin published and circulated the Women’s Era for seven years. Josephine Ruffin became a vital link between Boston’s wealthy white and African American citizens. Although she worked and socialized with many white reformers as a member of the New England Women’s Club, the Jim Crow laws brought new resistance to integration in Boston. To encourage Boston’s middle class African American women to become more involved in reform work, Ruffin founded the Women’s Era Club in 1893. Although not specifically a club for African American women, the Women’s Era Club was founded and governed by black women. The club’s motto, “Make the World Better,” perfectly expresses Ruffin’s belief that African American women were a vital component of the fight for equal rights for all Americans, white and black, men and women. Like the New England Women’s Club, the New Era Club was comprised of well-educated, middle-class women who worked on issues related to improving the community. The club raised funds for scholarships, sponsored kindergartens, organized health clinics and hosted literary events and art exhibits. In 1895 Ruffin organized the first national conference for black women’s clubs nationwide. One hundred women, representing twenty clubs in ten different states, traveled to Boston to attend the conference. The organization of women’s clubs became known as the National Federation of Afro-American Women. In 1896, the association merged with the Colored Women’s League to form the National Association of Colored Women. Ruffin served as vice-president of the new organization. In 1900 Ruffin attended the General Federation of Women’s Clubs in Milwaukee, Wisconsin as a representative of three different organizations: the New Era Club, the New England Women’s Club and the New England Women’s Press Club. After learning that the New Era Club’s membership was comprised of African American women, the executive committee of the General Federation would not allow Ruffin to sit on behalf of the club. Although she was allowed to sit on behalf of the other two organizations she planned to represent, Ruffin refused to sit for any of the clubs on principle and was banned from the conference. The events were widely published around the nation and became known as the “Ruffin Incident.” The Women’s Era Club continued to fight racial prejudices, but disbanded by 1903. Ruffin remained an active member of the Boston community championing the causes she believed in. In 1902 she helped to organize and served as vice-president of the American Mount Coffee School Association to raise funds for the school at Mount Coffee in Liberia. She was also a founding member of the Association for the Promotion of Child Training in the South. In 1910 Ruffin became one of the charter members of the Boston Chapter of the NAACP. In that same year, she founded the League of Women for Community Service, which still exists today. In 1999 a bronze bust of Josephine Ruffin was installed at the Massachusetts State House as part of the permanent exhibit “Hear Us,” that honors six Massachusetts women who overcame adversity to make important contributions to society in the state and in the nation. 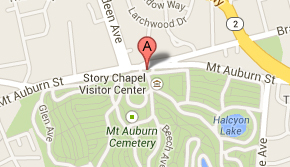 Josephine St. Pierre Ruffin is buried at Mount Auburn in Lot 4960, Indian Ridge Path. Further reading about Josephine St. Pierre Ruffin is available in our African American Heritage Trail Guide.